"Over 10 years of imprisonment Alan's life has been measured out in weekly visits from his family; slices of the normal life he's left behind. Everything will be so much better once he's finally out and back home for good. Won't it? A sharp and detailed portrayal of a man struggling to keep his head above water." Written by London-based playwright Clare Lizzimore. 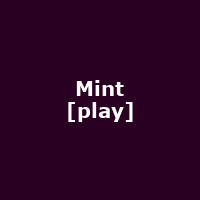 Mint is her first play. As a director, her credits include Bull by Mike Bartlett at Sheffield Crucible, One Day When We Were Young by Nick Payne as part of the Paines Plough Roundabout Season, Lay Down Your Cross by Nick Payne at Hampstead Theatre.